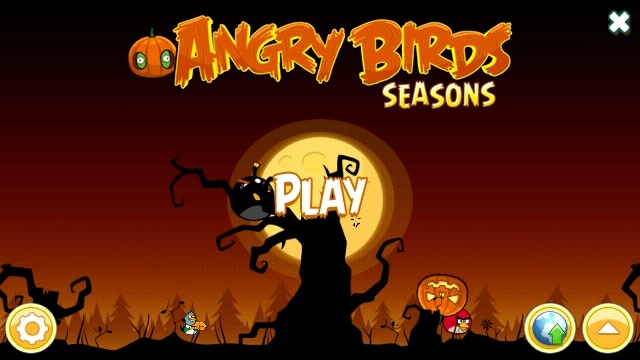 Recently Rovio released the new version of the number one mobile game, Angry Birds Seasons, in Ovi Store. Bringing new worlds with different levels that are the Seasons Greedings with Christmas theme and Trick or Treat for Halloween theme. 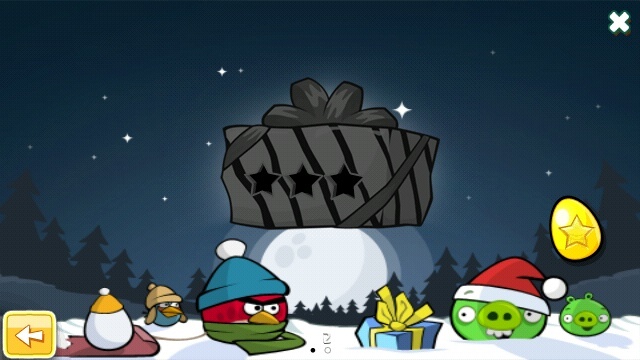 There is also the appearance of two new birds, mainly the Boomerang bird and the “steroid” red bird. Please read more of the review after the break. The main recipe of this version brings the new worlds with two different themes. The Seasons Greedings for Christmas season and the Trick or Treat for Halloween. 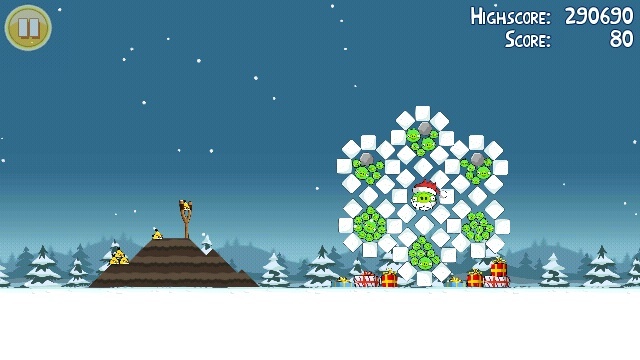 The Seasons Greedings consists 25 new levels and a special stage for completing the 3 stars. Where each level corresponds to a date equivalent to month of December, like the first level for 1st of this month and last level for 25th. 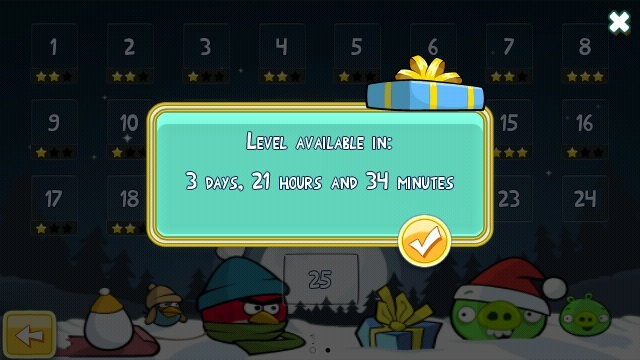 So each day until 25th of this month, all levels will be fully opened. It works like a countdown for Christmas stages. 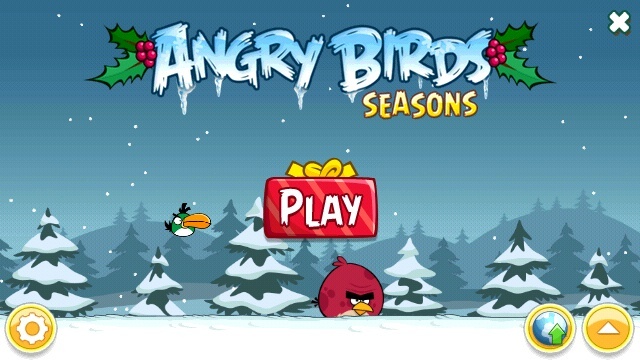 This world is also I think the hardest on all different packages of Angry Birds. 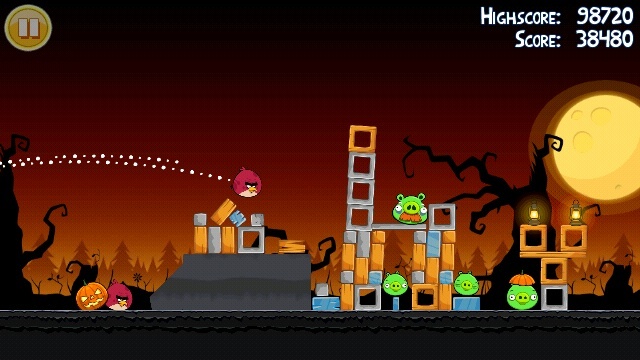 Mostly, you would get only 3 angry birds ammunition leaving the skills and luck for the rest. Also this world packs with many bonus items in the form of gifts boxes. I will also share a golden egg tip for this world below. 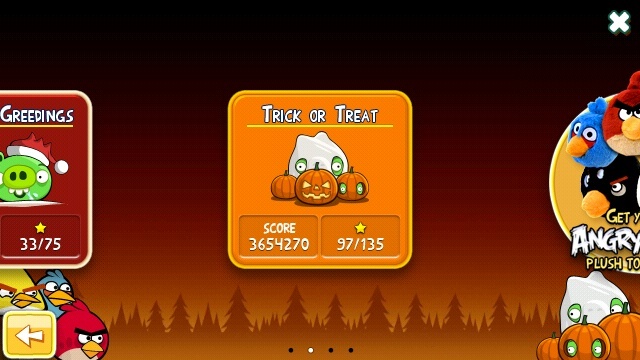 The other world is the Trick or Treat with Halloween theme and featuring 3 sets of 15 levels and a final stage for 3 stars completion. So expect you will see a lot of pumpkins from decorations to costumes of these pigs. You will also meet the new birds here that I will discuss below. The appearance of these two new birds is not new for some, but for Symbian users it is a first time though. So there are two angry birds member who will join for the forces to pursuit of eggs. The first one is the red bird which is similar to the original red bird of the first version, provided it gone big, like a steroid red bird ( I just call it Steroid bird). This bird has no special abilities though aside from a behemoth destruction weight and force. It simply the most massive bird in all angry birds line up making large area damage and destroying anything on its path, especially the pigs. The second bird is the green taco or the Boomerang bird. As it title suggest, it has special abilities. It works like a boomerang when you tap it while it is on the mid air. A little stronger than the classic red bird but definitely it is one of a hell awesome bird. 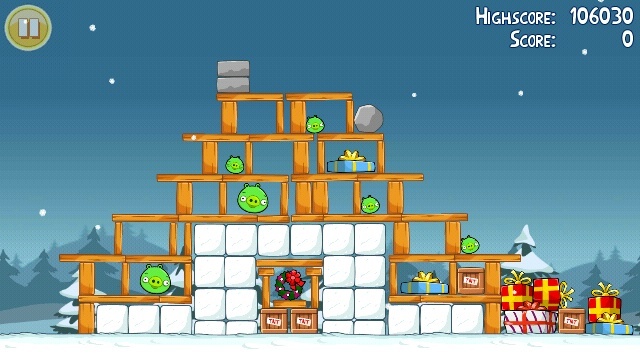 One of the most awaited part of the Angry Birds fans is of course this part. A golden egg! I actually don’t know how this golden egg work until I finally got one. 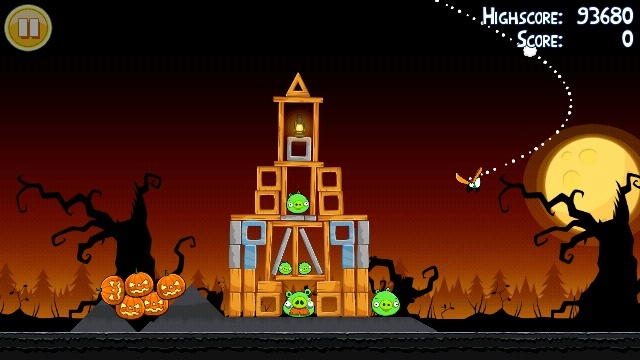 It opens another level with just easier play needed but with lots of pigs and blocks to destroy. You will find the golden egg stage on the final or special egg dashboard. 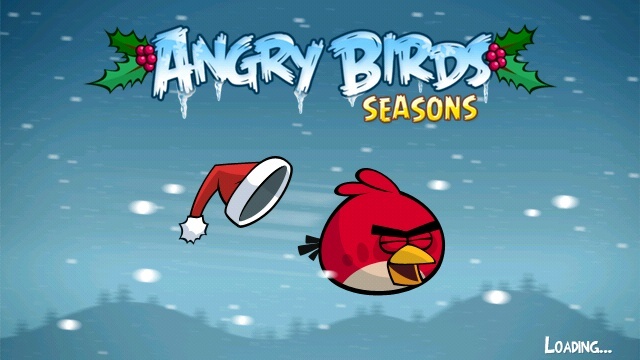 You can get the Angry Birds Seasons from Ovi Store. A video review is available to watch below.